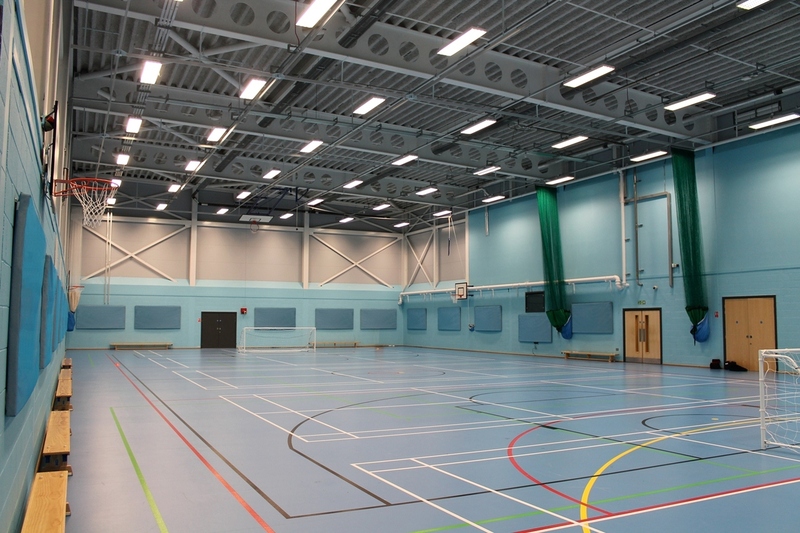 Sports hall acoustics are typically reverberant due to a combination of large areas of hard block walls, corrugated steel ceilings and wooden floors along with high ceilings. To control a sports halls acoustics, a large amount of acoustically absorptive material has to be applied around the hall. A spray-on material has a distinct advantage over acoustic panels in this situation. Oscar Acoustics is a specialist in controlling sports hall acoustics. Each project is taken as a completely separate case. Prior to installation, acoustic measurements are taken and with purpose designed software, computers create a sports hall acoustic model. 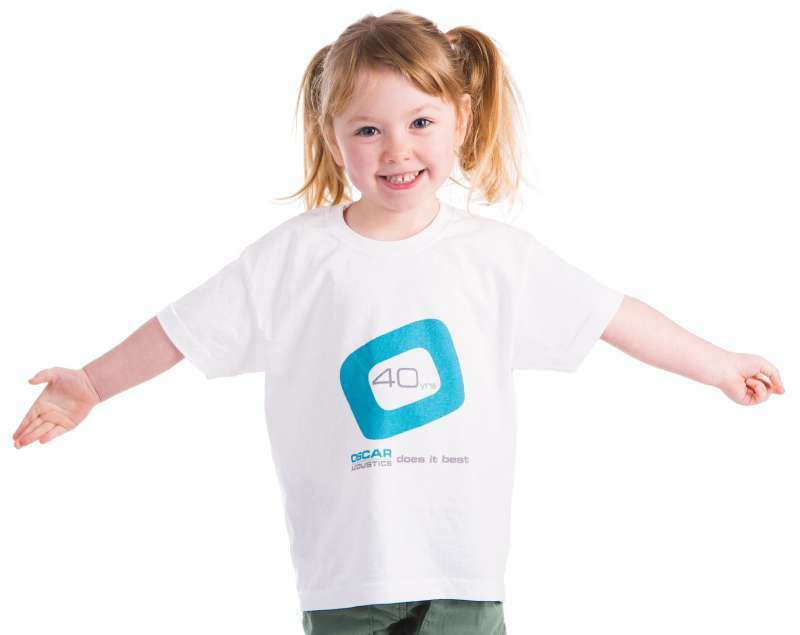 This enables Oscar to calculate which areas require treatment to achieve the desired results. 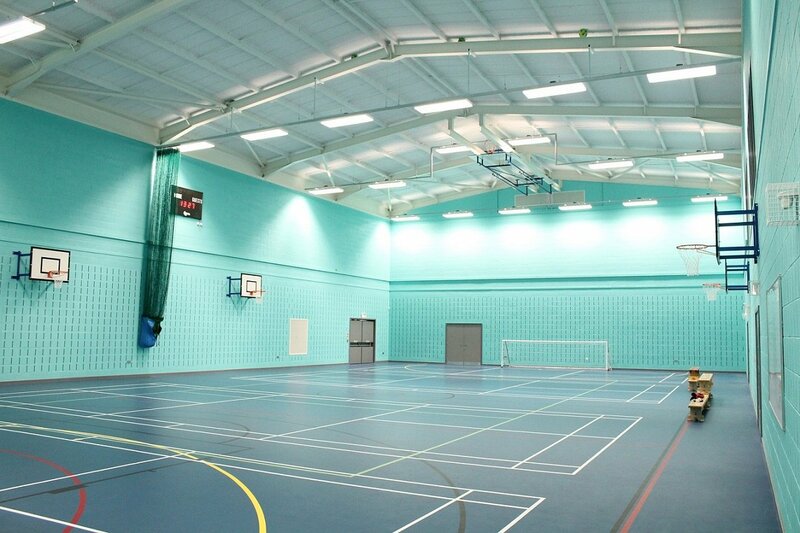 Oscar acoustics is available to provide free advice for sports hall acoustics. Contact us today to discuss your project requirements. Will treatment definitely work? YES! A revolutionary & truly impact resistant acoustic panel that can half reverb times & help save £35k on a sports hall acoustic package. "Changing spec from standard acoustic wall panels at high level and replacing them with fewer Oscar Evo-Panels at low level in our sports hall as well as changing the perforated metal deck spec to plain galvanised metal deck treated with SonaSpray K-13 has saved us a fortune & valuable time in the programme. 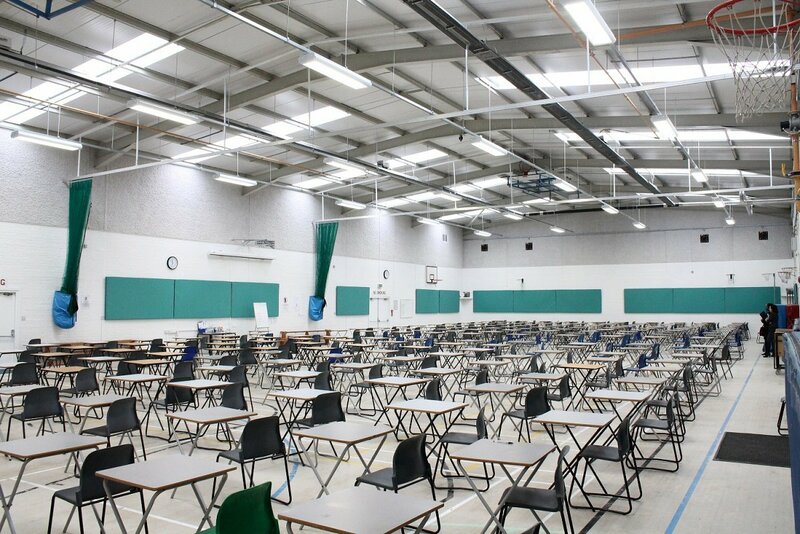 Everyone has commented on how quiet the sports hall is now. The school actually uses them as part of kick boxing lessons"
The traditional method of using perforated metal deck for sports halls acoustics can work out much more expensive than it would seem due to a massively increased installation time compared to standard profile deck. The extra cost of the installation combined with the increased site time can work out expensive & inconvenient. In replacing the perforated deck system with a standard galvanised profile deck, the building is weather tight faster allowing internal works to begin. SonaSpray K-13 (our most economical spray applied finish of 5) is applied directly the profiled deck to a calculated depth. Oscar Evo-Panels are then installed at low level, just above 5-a-side foot rules height. 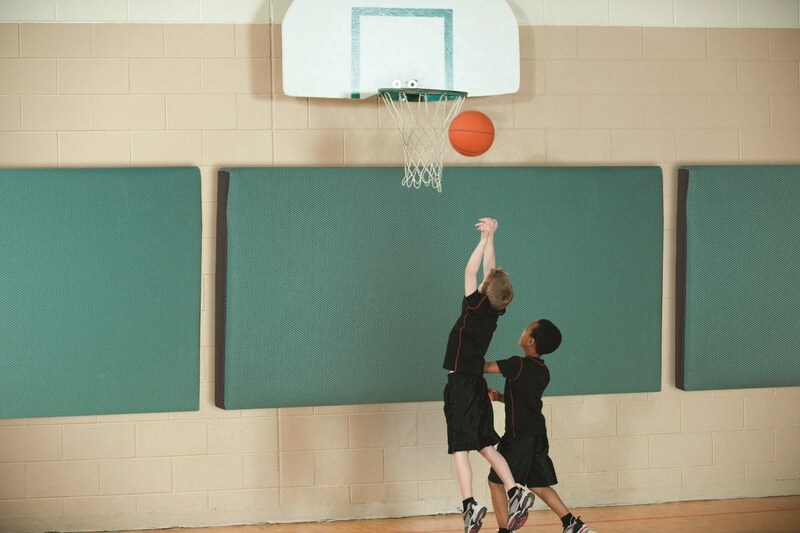 In positioning this unique impact resistant acoustic panel at low level means that low level sound flutter is eliminated; something that traditional acoustic panel systems cannot do in a sports halls due to risk of damage and is a real issue. The sports hall acoustics results are dramatically improved by installing panels at this height. See more information on the Oscar Evo-Panel™ below or click to see the main web page. The best part is that in positioning them at this level means that 35% less panels are required and installation for an 800m2 sports hall can be done in one day by untrained people instead of 1.5 - 2 weeks with standard panels for trained installers. Huge savings! There is also a health and safety benefit with the Evo-Panels providing prevention of injuries from impact against walls during sport. Once again the use of SonaSpray K-13 would be used applied directly onto standard non-perforated metal deck, (see above). At lower level, UK size Echocheck acoustic blocks would be used as part of the construction in place of standard blocks. Echocheck acoustic blocks are fire resistant, load bearing and virtually maintenance free; they withstand frequent impact and quietly do their job for the life of a building. At Central Sussex College (shown left) 16mm of SonaSpray K-13 in white was applied to the roof deck and Echocheck acoustic blocks at low level. 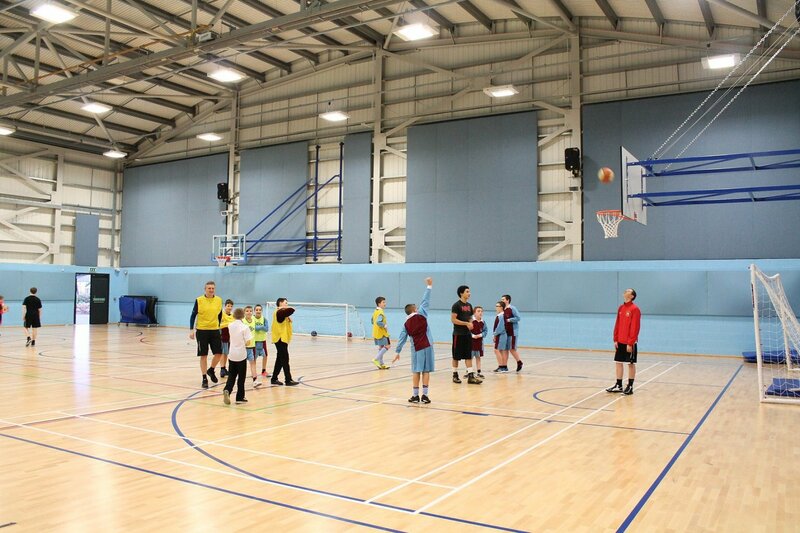 The space was tested at a Tmf of 1.6 seconds (in-house testing); well within BB93 sports hall acoustics requirements. Click here to go to our acoustic blocks pages. Oscar Acoustics has a range of products to suit most acoustic projects, with attractive Spray applied acoustic decorative finishes from textured to plaster smooth, plus a range of Sound Blocks and attractive acoustic panels, including the new cutting edge sports hall acoustic panel, Oscar Evo-Panel. Soundproofing products to prevent noise transfer between rooms through walls and floors are also available. Oscar has the answer to perfect sports hall acoustics and are also available to provide free advice for sports hall acoustics.